One of the most important things before proceeding to export is preparing the Sketch file. I am sure that most designers are familiar with good practices for working with Sketch. Most importantly, you should work with neatly organised symbols (and nested symbols), proper layer and text styles, and group screens by flow. All the work that you have put into the organisation of your file pays out now. 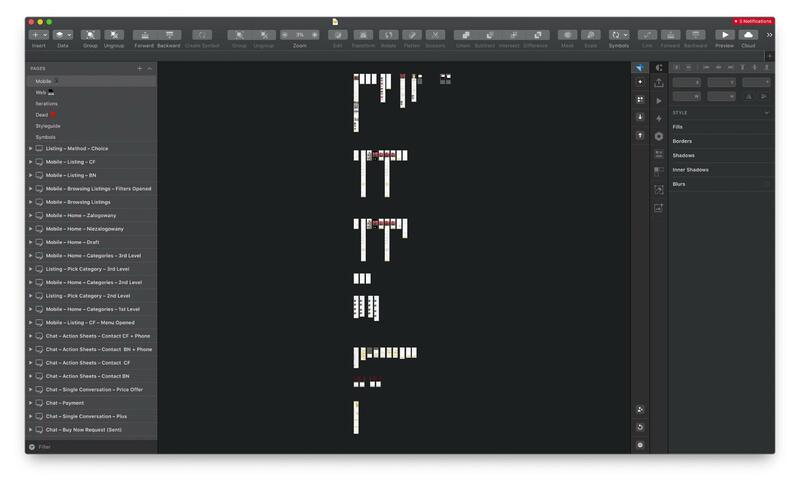 If for some reason you weren’t able to build a proper file, make sure to at least have symbols that follow naming convention and artboards grouped by flows. 👉🏻 iOS: Mark icons as exportable (@2x) in PDF. This will allow developers to access the icon in the *.PDF and *.PNG (@1x, @2x, @3x) formats. According to iOS developers, it is good to export icons in grayscale if exporting to PDF – they will be able to add colour using code. For colored illustrations, it’s better to export them as PNGs. 👉🏻 Web: Mark icons as exportable (@1x) in SVG. 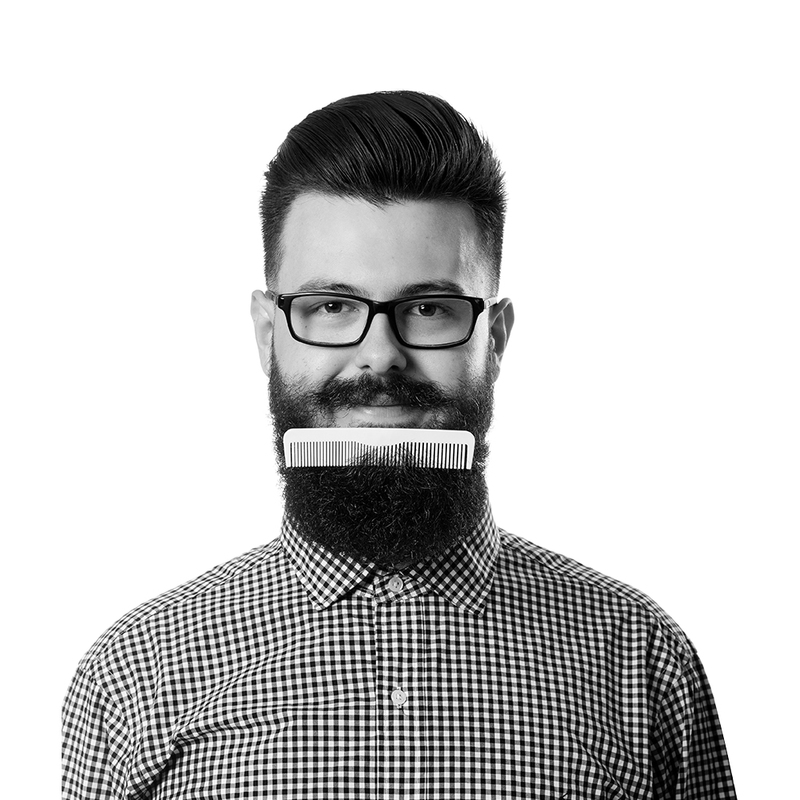 Icons will be available as *.SVG and *.PNG (@1x, @2x, @3x). For backgrounds and illustrations choose raster formats. If possible, try to optimise SVG icons with this tool. It only applies when exporting icons separately (not via Zeplin). After successful preparation of a Sketch file, you are ready to launch Zeplin 🎉. First things first, you need to click Create Project and then choose the right project type – you can go with Web, iOS, Android or MacOS. Choosing the right type of project is crucial, as Zeplin provides platform-based measuring units, correct export formats, and so on. Make sure to choose the correct project type. After creating the project, you can access its settings on the right-hand side. There you will be able to name the project, set the proper scale (you have to tell Zeplin whether the project was designed at a @1x or @2x scale), and invite members. Once you have successfully created a project, it’s time to invite project members. Simply click the Settings icon on the sidebar visible on the right side. You will be presented with the screen shown below. Paste in the emails of the users you wish to add and then click Invite. Before exporting, make sure that you have the Zeplin plugin installed. More information about the plugin can be found on Zeplin’s GitHub page. Some plugins that help you to maintain correct paddings (ex. Paddy, Anima) are not fully supported by Zeplin. Before proceeding to export, check if your plugin is supported. Navigate to the Symbols page (or open an external library) and select the symbols you want to export. If your document is properly named and organised, you can export symbols by categories. Open the Sketch Symbol Organiser and run it with the desired options. Let’s say 16px icons in your project have name Icons / 16 / Car. You should set the Symbol Organiser's Group Match to 2nd. You will be presented with neat rows of 16px icons in your project. Select the whole row and start the export. 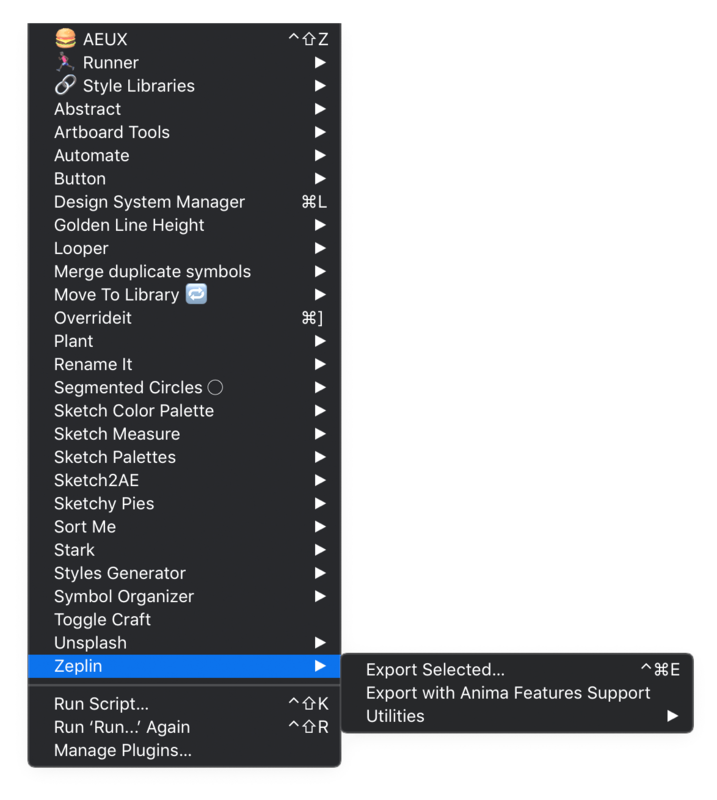 👉🏻 Anima: If your Sketch project is using the Anima plugin, make sure to choose the right export option: Plugins > Zeplin > Export with Anima Feature. 👉🏻 All other cases: Select Screens or Symbols and then navigate to Plugins > Zeplin > Export > Export Selected. You can also use the shortcut Control + Command + E.
If you completed the previous step, you will be exporting screens or components by groups. I highly recommend this way since it’s much easier to maintain proper organisation in Zeplin project. After exporting all elements from a group, simply select them and right click, then choose New Section from Selection. Name the selection accordingly to your Sketch document. In this example, for 16px icons you should name the selection Icons / 16. 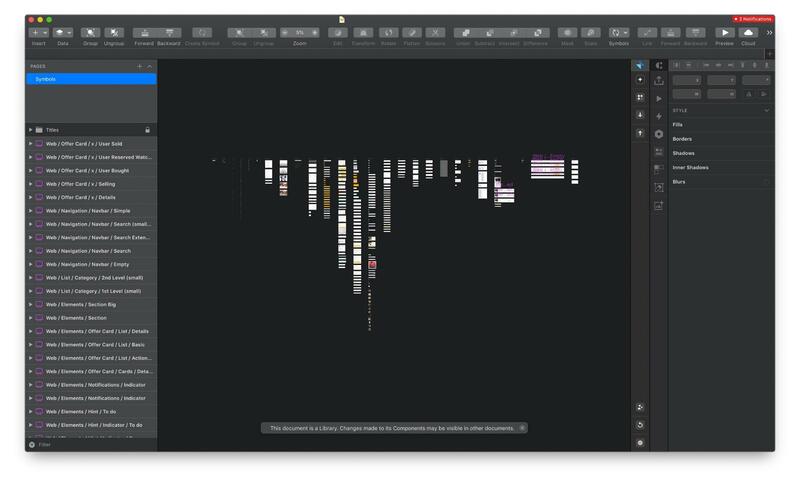 After successful export of all screens and components, your final project should look somewhat like this. 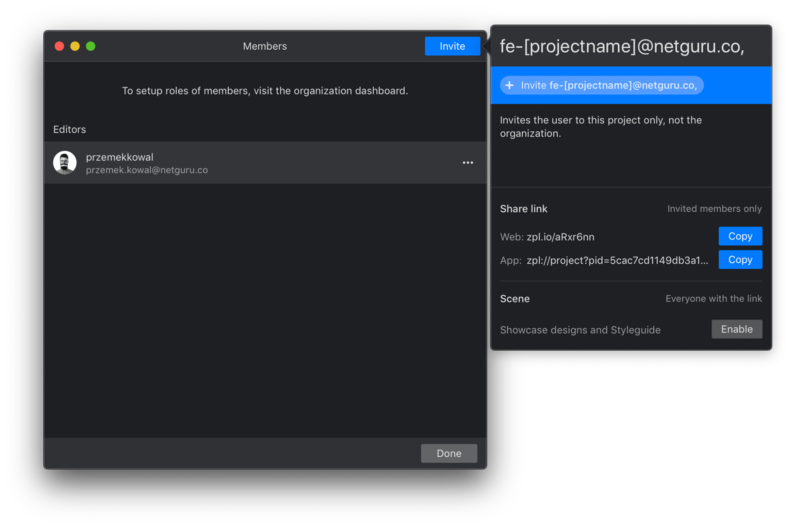 Should be organised into groups and follow the same naming convention as the Sketch file. Should be organised into flows with the correct screen order. 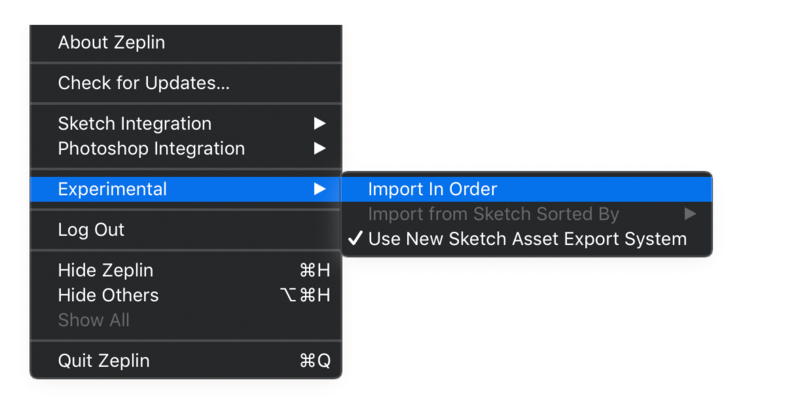 Tick this option if your project is using nested symbols and new overrides features added recently to Sketch. Be aware. These are Experimental features, therefore if you find any problems with your export turn them off. After successful implementation, please remember to archive the project to save some cash.